Our Criss Cross Polka Dot Mother's Day Wrapping Paper will make Mom feel extra special on Mother's Day! 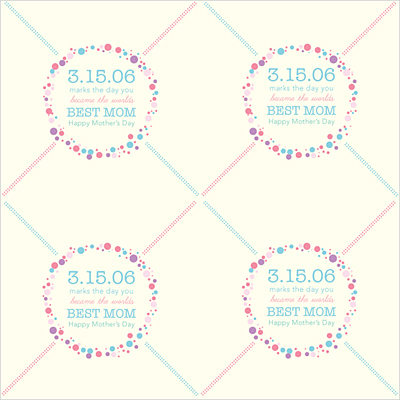 It features a criss cross design and polka dots in pink, blue and purple pastels on a clean white background. Customize the paper with her child's birth date to personalize your gift even further!